App Builder Appy Pie: There are probably millions of websites that are active and are in operation even as thousands more are still making their way on to the digital world. The scenario is no different when it comes to mobile apps or mobile ads. With the digital space so thickly populated, the smaller businesses are finding it increasingly difficult to attract any visitors to their site or apps without indulging any form of online advertising. When it comes to websites and mobile apps, your competition is not just the similar businesses in and around your location, but also globally. Now, there was a time when even the big players were a little skeptical about putting up online ads, however in the recent times the use of Google’s AdWords and advertising on the right kind of social media networks have both turned out to be quite effective and powerful. When you adopt the right kind of advertising strategy, you would be able to promote your business to people at exactly the right time – when they are looking for it and even to those people who are demographically similar to the existing established audience that you have. However, even if you have a fabulous ad at your hands that people are regularly clicking on, but you notice that more than 95% of the visitors are not really ready to make a purchase. This might be because they are simply browsing or researching. Now what this means is that if there are a hundred people visiting your website then, in the best-case scenario around 3-4 people are actually buying anything from you and this number includes those people who have clicked on your ads. Now, you might think that some of them are bookmarking your website and other might remember your brand and visit you later. However, the truth of the matter is that with the huge number of websites already competing with you, they are probably not coming back! With millions of other websites and apps vying for their attention, it might not do you any good to hope for them to remember you and come back to you for making a purchase. However, we are not the bearers of somber news only! There is an established way around this, which can effectively help you and your business at the top of the minds of the people who have visited you in the past, even as they are browsing other websites. This gives you yet another opportunity to entice them into coming back to your site and then hopefully converting eventually. This can only be done with the help of retargeting or what we also sometimes refer to as remarketing. Now, like most of the new techniques that we adopt, this might seem to be a little complicated, but once you get the hang of it, you would realize how easy it is to implement and benefit from. Now, you might have observed that if, you have visited a particular website, you end up seeing banners of that same website which kind of follows you wherever you might be moving around on the web. This is essentially what retargeting or remarketing as we know it. Let’s say you went shopping on Amazon or H&M website, they would put a cookie on your device. This means that no matter where you go, which website you are using, they will pixel you and then would show you the ads related to the web pages or products that you explored while visiting their website. Now, quite a few websites have acknowledged the fact that a huge number of customers are not ready to convert on their first visit to their website. However, they have now eliminated the process of aggressively trying to convert these visitors as they are leaving and have instead adopted the process of gently reminding them of the brand, products, or page that they stopped to take a look at, through well placed ads on other websites that they might visit. This can also help the businesses make their appearances on their social media feeds, even if they do not follow your brand on any of the social media channels. This technique does not come off as aggressive while still helping you target those people who have shown any interest in your brand, products, or services. While you are running your ad campaigns and taking every possible aspect of targeting into consideration, you might still not be sure whether the ad is being showcased exactly to the audience you may want to target. With retargeting however, this fear is allayed, because your ads are now being shown to the people who have already visited your website once at least, which means the chances of them converting are naturally higher. What happens is that you put a small, unobtrusive piece of code on your website which is also referred to as pixel. This code or pixel is generally unnoticeable to the visitors on your site and does not even affect the speed and performance of your website. So, every time a new user lands on your website, this code would drop an anonymous browser cookie. This cookie would make it possible for your retargeting provider to understand the best timing to serve the ads while making sure that your ads are served only to those people who have visited your site in the past. Retargeting is more than a mere buzzword, there is science, strategy, and a whole lot of work that supports it. There are a whole lot of different types of retargeting that you must be aware of before deciding whether it would work for you, and which way you should go. We have broken it down to the following six categories or types, for you to have a better understanding of what would suit you the best. This particular type of retargeting essentially involves pursuing those individuals on the search engines who have in the past searched for the keywords or phrases that are relevant to your business. When you are using this kind of retargeting, however, you must take in to consideration, the fact that you are making assumptions regarding the intent of the researcher. What we mean when we say this is that, simply because someone searched on the search engines a term or keyword that is related to your business, does not necessarily mean that they intend to make a purchase and would probably not appreciate being bombarded by any “Buy Now” banners. Hence when you are designing your banner you must take the intent of the targeted individual into account before serving it. This can be thought of as a one step closer contact, because the searcher has actually landed on your website and has already paid your site or app a visit. After they have paid you a visit, you can tag them and then literally follow them around the whole of the web with your well-placed messages. One of the most important things to keep in mind while using this type of retargeting is that you would have to intelligently identify those actions that can actually be deemed as “tag worthy”. Though there might be someone who visits your site all the time but is doing so only to read your blog, there would not be much of a point tagging them in your PPC management software. Instead, you might go and tag someone who just watched a demo video which is related to you or is posted by you, for one of your products or services. This particular type of retargeting is in its essence quite similar to site retargeting and involves making use of the search terms that were used by an individual just before clicking on and arriving on your website. What you do here is observe the search terms used by an individual to reach on your website in combination with the action that these individuals take on your website, once they reach it. This combined information and observation can offer you great insight into the intent of the individual you are studying. This insight and information can then be put to use in tweaking, fine tuning, and perfecting the message you are sending out to them. This is almost self-explanatory! This type of retargeting lets you retarget people based on the actions that they have taken on the emails you have been sending out to them. While leveraging this particular type of retargeting, it is important that consider their level of engagement as a defining factor. Someone who has opened your email should not be treated the same as someone who has clicked on one of the links in the mail, has forwarded the mail or interacted with it or not even opened it. This is one of the most impressive and lucrative of the different types of retargeting. It includes an exchange of pixels between the sites that are of a high relevant to a searcher and then targeting each other’s audience. This can be better explained with the example of an airline booking site and a hotel site. These two can come together to target each other’s audience and site visitors on the basis of the destinations that were searched or booked by them. This is one of the least commonly used type of retargeting when it comes to an average advertiser. It works exceptionally well with those that offer channels of engagement like videos, rich media, Flash Games etc. On the basis of the kind of action that an average user takes, the advertisers can establish a lot of parameters like their intent and the level of engagement in order to serve highly targeted display ads. Retargeting is highly effective when it comes to branding and as a conversion optimization tool, but to bring the best possible results, it is important that you make it a part of a more holistic digital strategy. When used in combination with inbound and outbound marketing or demand generation, retargeting would get you the best results. Strategies that involve content marketing, AdWords, and targeted display are great for driving traffic, however they do not have anything to contribute to conversion optimization. On the other hand, when you apply retargeting, it helps you increase conversions directly but will not do much in driving traffic to your website. Hence it is only natural that you would derive the most from a digital strategy that consists of tools for driving traffic to your site and retargeting so that this traffic can be aptly utilized. Retargeting is a highly effective strategy that helps you with the conversion rates in a substantial manner with little effort. The reason why it is so effective is because it is based on the idea of generating greater online sales by keeping your brand right in front of the window shoppers who visited your website in the past, so that they are motivated to come back to you once they are ready to make that purchase. Retargeting lets your targeted individuals see you and your ads, so you automatically receive added traction and recognition for your brand. It is due to a good branding and repetitive exposure that retargeting campaigns tend to enjoy high click-through rates and a substantial increase in the number of conversions. 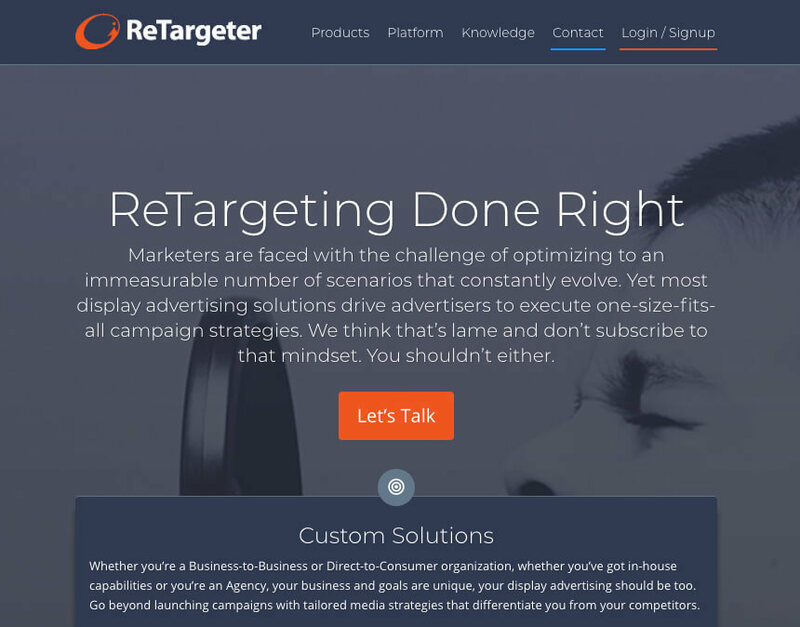 What goals you should have for retargeting? After you have gone through the basics of retargeting, its different types, how it works and all the other things you need to know before you begin, you can now pay attention to the goals that you need to set before running a retargeting ad campaign. There are two main types of goals that you must set before running a campaign – awareness & conversion. The campaigns that are designed with the awareness goal as the basis are especially useful when you are looking to re-engaging past website visitors and tell them about relevant products, features, or any announcements. These types of retargeting ads are typically served to pixel-based lists. Here, an obvious disadvantage is that you would be serving content that is probably a little less targeted and would be serving it to people who haven’t engaged that heavily with your brand. These people are not a part of your contacts database and usually have much lower expected clickthrough rates when compared to other types of campaigns. Since the goal is awareness where you want the prospects to be aware of your business, impressions, and engagement are acceptable metrics to track. These campaigns can serve quite effectively as precursors to a more coveted campaign goal – conversions. The goal of conversion entails you looking to get people to click on your ad and then take a next step. This step could be anything from filling out a form to buying a product or enquiring about a service. Campaigns with conversion goals can be used most efficiently when aligned with a clear next step in the funnel and can only be measured with typical conversion metrics including website clicks, form submissions, and cost per lead, etc. The advantage here is that a ‘conversion goal’ oriented campaign can be used for multiple parts of the funnel. Here pixel-based ads can be used to generate leads, and list-based ads can be used to better qualify those leads. Now, retargeting can be used to push these quality leads towards the bottom of the funnel. A ‘pixel’ is a small string of code that you can put on your website. Once you have done that, whenever someone arrives on your site, the pixel would drop a cookie onto their browser which would then track them whenever they go online. The, whenever this person reaches a site where your ads are eligible to display, you are entered into a bidding war against other such ads and the top bidding ad would be displayed. The fun thing here is that it is instantaneous the moment anyone visits your site, they get ‘cookied’ and are immediately shown your ads wherever they go. Here, you have the option to set up specific cookies for specified pages on your website or carve out segments of your retargeting lists on the basis of certain behaviors like the time spent on site, number of pages visited etc. In this type of retargeting, you would be using the list of existing customers. In order to run this kind of retargeting campaign, you would be uploading your email list to a retargeting platform. The platform then goes on to identify all of the users in the email list and then targeting them with ads. Here, there is an added advantage of list-based retargeting is that you already know who it is that you are targeting. Whereas, when it comes to pixel-based retargeting the list is almost entirely anonymous, so all that you know about them is that they visited your site and might have done something interesting during this visit. Now, you might have an interested customer, but you might also have a competitor scoping you out. Pixel based retargeting would not be able to tell the difference. However, there is a flip side to list-based retargeting also, that is you would not know if your emails would match. It is quite common for people to use different email addresses for their social media accounts and these are generally not the accounts that they submit a form on any website. So now you have a list of golden leads but when you upload them on Facebook, you might only get a 30% match. Both, list-based and pixel-based retargeting have their own purpose, and this is why it might be a good idea to make use of both. Let’s say that you have a salon in Chicago, what use would it be for you to retarget the people who live in Milwaukee. Now, in context of your app or your website, let us consider that you are not getting much sale from the western part of Europe, but the traffic is terrific. In this scenario you must not retarget them simply because these budgets may be better spent elsewhere. Retargeting this part of the world would mean that you might get a lot of people to visit your website, but no one would actually convert into a customer, and all your time and money would be wasted. Now, another pitfall to avoid here is “over-targeting”. You must remember that retargeting is essentially about staying fresh in the minds of your target. Now, the smart thing to do is to think of it as a little reminder or a nudge, but not as a flamboyant effort of seeking attention. For example, if you saturate a fresh target with ads can become annoying. Make sure that you do not cross the fine line between a tactful retargeting campaign and an ambush or bombarding. Now, you are aware of the concept of retargeting and how it is done, you have also learned the different types of retargeting. It is now time that you went ahead and explored the different retargeting platforms that may be used to reach out to your potential customers. Now, let’s put it out there, if you already have an account on AdWords, you must consider making use of Google Display Network for running the retargeting ad campaign. Just to give you a fair idea of what we are talking about here, the Google Display Network covers more than a million websites and apps. To top it all off, you can even run your retargeting video ads on YouTube. Now when you put it all together, you would have at your disposal the ability to advertise to more than 10% of the internet. If you want to set up a retargeting campaign on Google Display Network, you would have to simply add the Google remarketing tag (or pixel) to your site, create some ads, and set up your campaign. In case you are also running text ads on AdWords, you can also make some good use of remarketing lists for search ads to customize your keywords, bids and ad copy according to the kind of people who have already been on your website. Setting up a retargeting campaign on AdWords is really simple and straightforward which is why you should not miss out on leveraging GDN for retargeting ads. Though you might not get the maximum possible reach with it, but it is bound to give you some great results. Facebook is one of the biggest retargeting platforms that you must consider using. With 1.47 billion daily active users, you can’t afford to ignore the platform because it can actually get you in front of almost any audience you desire. Now that Facebook also owns Instagram, so you can also make use of the platform to run ads even on Instagram. Quite like the GDN platform, setting up a retargeting campaign on Facebook is quite simple too. All you have to do is add a pixel to your site, build a couple of good ads, and simply create a campaign. However, the retargeting on Facebook has not really brought in as great results as are afforded by the GDN. This is because when you are on Facebook you have a world of distractions simply vying for their attention. Now, honestly what do you think you are more likely to do on Facebook, watch a cat video and chuckle at some memes or click on a retargeting ad. However, if the goal of your campaign is awareness and you want people to be aware of your brand, and you are looking to stay afresh on people’s minds and screens instead of motivating them to make a purchase or take an action, then Facebook can in fact turn out to be a great retargeting tool! Remember to go in with the clarity that you might not get highly relevant clicks you might get from other platforms. Twitter too, like Facebook has on offer a retargeting platform which functions in quite a similar fashion. However, you must remember that retargeting ads on Twitter are generally a lot less effective than retargeting ads on either Facebook or Google. If we are calling Facebook distracting, then Twitter is even worse! Typically, it is a great idea to add the twitter pixel to your site and start building your audience, but if you are doing this, it is better to reserve any Twitter campaigns for only the really important campaigns where you are looking to gain a whole lot of exposure, not the ROI. These three are not the only sites to offer retargeting, but for the moment, it would do you well to only focus on these three main sites. To be honest, there is a world of options out there when you are choosing your platform, in addition to going for platform specific retargeting like Facebook, Twitter, and GDN, you can also opt for one of third party platforms. Now, every platform that you can use in order to implement your ad campaign is going to be different and there would be some advantages and disadvantages associated with your choice. Now the true magic lies in understanding the differences between serving up ads on the social media networks or somewhere else on the web. While you are strategizing the whole retargeting campaign, it is important to think whether you want to get more out of the whole thing and for that you must first consider making use of a retargeting service. These services can actually open up access to more sites and even let you restructure your retargeting campaigns within a single system. Appy Pie has been in the business for some time now. It is this experience that has been put to use in figuring out the top retargeting services that can help make your retargeting campaign bring in the best results according to your goals and budget. Here’s a look at some of the best retargeting services that we came up with. If you have been dabbling a little in the remarketing campaign space, then you have probably already heard of the name. AdRoll is pretty much one of the biggest names in the field. They are certainly not light on the pocket but are used by some of the biggest names in this space. Since they are partnering with biggies like Google, Facebook, Yahoo, Microsoft, etc. AdRoll has the ability to offer you access to 98% of the sites on the internet. AdRoll can even offer you quite a few options for segmentation and targeting that can be put to great use when you want to focus your targeting and ads on particular prospects or potential customers. 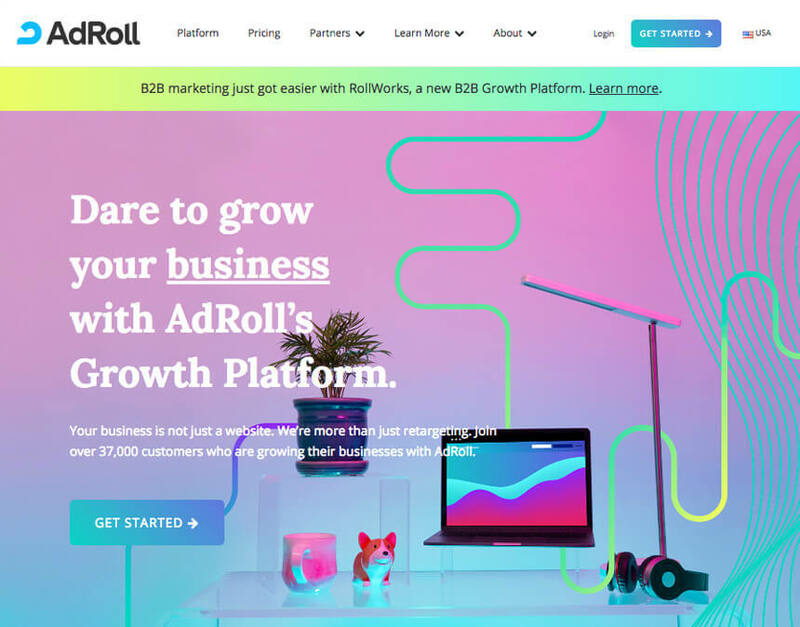 Now, they might be a little expensive, but the service is pretty easy to use and if you were to believe them, they claim that their clients generally end up making $10 on every single dollar they spend on AdRoll. This probably explains why most of the big players in various fields are choosing to work with this retargeting service. Now, this one is comparatively one of the new ones on the block, but the fun in using this service is the plethora of options they have on offer for their clients including Facebook retargeting, search retargeting, and so much more. One thing though, that you must remember to keep in mind is that if your website does not really get much traffic, then ReTargeter might not be the way you should choose to go with. This simply because the service is designed while keeping those sites in mind which enjoy a traffic of at least 30,000 unique visitors on a monthly basis or more. So, if you have heavy search volumes and can afford one of their plans, then ReTargeter can actually prove to be a great way forward. With ReTargeter you would be provided access to a great number of sites and customization options. This is particularly true in case you are planning to retarget people on search making use of their email address. Perfect Audience can actually prove to be your perfect choice, if you are one of those who want to keep things basic, simple, and neat. When you are using this retargeting service all you have to do is add a single piece of code to your site, create a few lists pertaining to the kind of visitors that would best suit your target user persona, and then add a few ads. Now, everything else is taken care of, simply by the service itself. There is no setup or maintenance fee charged by the service, which makes it absolutely the best choice for the small to medium sized businesses, which in fact is their primary target market. However, if you are looking for a more customized solution and are looking for greater control on where and how your ads are being displayed, then Perfect Audience is not cut out to be of much use to you. The platform is of most use, when you are planning to try out retargeting and are not looking to invest much time or money. While we have been singing praises of retargeting campaigns and have managed to convey to you an idea of how retargeting can bring about a world of a difference to your business, yet there is a possibility of running into certain problems which might render your campaign ineffective or even make it backfire at times. After a thorough research, we have been able to compile a list of problems that are most commonly encountered by businesses in their efforts of designing and implementing a retargeting campaign. How would you feel if you were getting bombarded by ads all the time? Annoyed, right? Studies in the recent past have established the fact that high frequency ads tend to cast a negative effect on the way your brand would be perceived by the audience. To explain the whole situation in a better way, let’s try and compare it to the whole dating game. So, you went on a date, and realize that the person is way too clingy for your comfort. We’ve all been there, and it’s safe to say that it is not a great feeling! Now when you are bombarding your website or app visitors with your ads wherever they are going on the internet, they might feel the same way and get either annoyed with you or get completely creeped out! It is only natural that a thought “Am I being stalked?” come up. Also, if you put yourself out there a little too much, the customers might end up perceiving you as “trying too hard” and start doubting your authenticity and credibility. Now, that can’t be good! The smarter thing to do here would be to impose a pre-defined limit on the frequency with which your ad is being displayed. In this way, your retargeting efforts end up becoming a lot more appealing and it also creates a special environment where you would not be bothering your consumers but gently enticing them on to your website and take the action you want them to take. Typically, you would see that most of the organizations end up creating one ad and then put the same thing up, everywhere possible on the internet. For example, some companies would post something on the social media, but they might also be including the same visuals, text content, and digital assets in their newsletter, twitter, and even the banner ads. Now this practice might actually have originated from the fact that creating digital assets is a process that takes time and requires a lot of monetary investment as well. The thing is, just because you have built a creative that looks great, doesn’t mean you should keep using it everywhere possible! Going back to the date analogy, if your date was saying the same thing over and over again and didn’t offer anything interesting, not only would you be annoyed, you might even end up blocking them out completely. Now in the online world, you are bombarded with a whole lot of ads that you see every day. This bombardment can continue to the extent that many of the customers (even the targeted customers) might subconsciously block these ads out without realizing what they are doing. Now imagine that they are only seeing the same ad everywhere they are going. What do you think is going to happen over there? They are simply going to ignore them! They know that the ads are there, but since it is something that they have been repeatedly exposed to, they are going to stop registering them in their mind and hence, stop responding. A cookie window is the time span for which the cookie will remain in the user’s browser, that is how long your browser can make use of the cookie information. For a number of ad networks, the default cookie window is set generally at 30 days. Though this might seem to be a great starting place, but in reality, you might be spending way too much money on the customers who would probably never convert, or you might be restricting your chances of acquiring a customer who might be likely to buy from you after 30 days. Now, this is particularly true for industries like travel and even plastic surgery. You can figure out this time lag till conversion or the cookie window by looking into the analytics section of your ad network. You would be able to figure out that the conversion paths for different customers tend to be of varying lengths. What this essentially means is that for some of the companies the customers tend to take their time coming to a decision. This does not mean that they would not convert, they just might take longer to get there. This is generally the case with the products that are too expensive or be related to a life altering event whether it be a happy one like an engagement ring or a serious one like a surgery. On the other end of the spectrum there might be some businesses that witness quite quick buying decisions and as time progresses, the conversions decrease and come to a stop finally. Now, this cookie window that you choose to go with, needs to be worked out with great thought and it is important that you review what is going on with your prospects. You must evaluate whether the cookie window of 30 days is too long, too short, or just perfect for you. 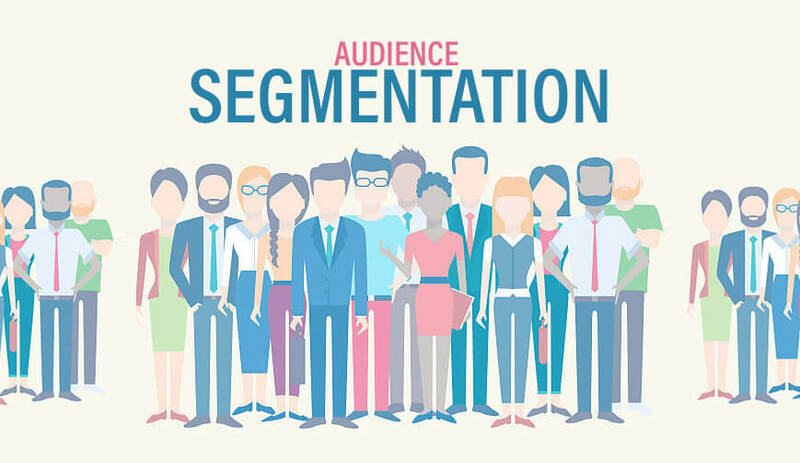 Segmentation is pretty important, and it is essentially the process of retargeting your ads based on what individual customers or groups of customers are buying. Segmentation is one of the most effective strategies that are used in email marketing to send out targeted emails to the right people and this can work the same way or even better when it comes to ads. Most of the ad networks keep this option checked off by default, which means that the retargeting campaign you send out is received by all those people who visited your site. Do we need to shake our heads to that, or are you smart enough to get it? Ignoring segmentation means that you would be sending the same ad to a woman buying stationery items and a teenager buying a pair of shoes. It is important to understand that every customer is unique so when they are being retargeted with ads that are relevant to them, the chances of conversion would definitely be high. Segmentation can be your savior here. Today the world is empowered by information, and information is quite easy to find when you are exploring the world of web. It is a great idea to go and consult some good blogs, enroll in some courses of measurable value, or some other form of training material. Doing this helps you keep on top of the trends for your industry but also help you find little bits of relevant information. However, if you are not careful, this can lead you straight into a trap where you just keep digging for the holy grail. Now, many a company have fallen into this pit, and it is due to the assumption that if they read and go through all the information that they are going through they are going to find the magical formula to success. There is no substitute to the good old try, try, and try again approach. Now, it is true that you would not get it right in the first go, but as you keep going through all those trials you would keep making improvements to the campaign. Retargeting involves establishing a strategy for getting on the way to success. Keep testing out the strategy and keep going back in order to determine what is it that went wrong and what is it that worked in your favor. However, if you keep looking for the magic formula or keep digging for the Holy Grail which would bring fabulous results and great success in a day, you could not be farther from truth, in fact you might then never even reach success! Now, retargeting sounds a lot like starting over with the targeting of a prospect. It is only natural that you would not want to start over right form the scratch whenever you see that a visitor who came to your website and leaves without taking any kind of action. The fun part is that retargeting is a marketing practice which saves you from doing just that! Retargeting involves targeting those prospects who have shown at any point in time any kind of interest in your offerings. The idea here is to get repeat visitors who are likelier to convert, instead of trying to grab the attention of the first-time visitors who may or may not convert! I have brought together some of the most interesting and powerful benefits of using retargeting or ways in which retargeting can help you and your business. The basic idea here is to expose the audiences who are already interested in your offerings to your ads in order to heighten the success of the campaign. Now, try and understand the logic behind this, before you go ahead and try it. These people have already visited your site once, which means that they are interested in what you have on offer for them. Wouldn’t it be great if you could stay afresh in their memories since they are anyway interested in you! If you think about it, this is not just beneficial, it, in fact is essential today! In all these years that I have spent in the industry never have I heard anyone say, “I don’t need more traffic.” It would be a fool who would say that. If you do everything right, retargeting puts forth another avenue for visitors to come back to your site without having to go on a search engine and looking you up. Now, here’s the deal with retargeting. On an average, the cost-per-click (CPC) of a retargeting ad is a whole lot less than your regular search ads. The fact of the matter is that some of the industries where the CPC for the search ads is more than $20, whereas retargeting ads are operating somewhere near $1 per click! Now understand what this actually means – you get a targeted click from a prospect who is interested and that too at a 5% of a typical search ad. It follows from this, that the return on investment is substantially higher which is a great thing, always! The whole idea of having a business is to make some sales and earn revenue. The fact that retargeting helps you add on to the total revenue of the company makes one understand the importance of including this as a part of the digital marketing strategy. Every organization prefers to pay attention to different sets of metrics which depends on the kind of industry that they are a part of. However, every organization that wants to survive and flourish has to of course pay attention to the revenue and every little bit counts in this direction. You know how cold calling is, right? Now the difference between targeting and retargeting is quite like the difference between just randomly making a cold call to someone & making a pitch and calling someone who called earlier with an enquiry. Now these people who had made an initial call, or had paid your site or app a visit, have already shown an interest in what you are offering, all you have to do now is motivate them gently so that they are more likely to take the next step. The main benefit of retargeting is that you are reaching out to the prospects who are interested already, rather than reaching out to the members of the target user group who might or might not be interested in your offerings. There are enough studies that have been conducted in order to demonstrate that it may be after about seven different impressions by your brand on a prospect in order to be able to build up enough trust so that they take any kind of action. Retargeting, in fact reduces the amount of time it would take for your prospects so that you can create enough brand awareness and make a buying decision. Now, it might so happen that they might not convert immediately, but by applying this strategy, you are definitely raising the odds of increasing your brand memorability by going ahead with it. Brand awareness is greatly beneficial for growth in business and retargeting offers a great edge in business. When you are using retargeting as a strategy, you are going to have an opportunity to understand and be able to identify where is it that you are able to retarget and recapture the most from, once they have left your site. When you have, at your disposal the analytics of your current and previous retargeting campaigns, you essentially have the entire road map for any future steps or efforts that you are going to put in order to bring in more appropriate traffic on to your website. As time passes by, you would be better at creating laser focus for all your digital marketing endeavors in order to get the best results. Whenever you are investing any time or money on any marketing activity or strategy designed for the promotion of your business, the ROI on that is of huge importance. If your business was getting the strongest ROI on every dollar being spent on digital advertising. When you put up banner ads or any other form of ad on the digital space, you are banking at least to an extent on the “hope” that people who see the ad might be interested in what they see. However, when it comes to retargeting, you are reaching out to those people who have at least once, been on your site, have probably interacted with it, but for whatever reason did not complete the action. When someone has already shown some interest, the odds of them completing the action (like making a purchase or booking a service) is a lot higher. One of the most effective ways to bring back your audience to your website is to run a retargeting campaign. This in fact might be the best branding that you can incorporate in your advertising budget. You can have any of the goals like increasing audience engagement, building brand awareness, or focusing on customer acquisition or activation and retargeting can prove to be an effective and simple boost to the marketing strategy that you have already chosen to implement. I have talked about what a retargeting campaign can do for any business, the amazing benefits that it brings, and the kind of problems surrounding its implementation. Now, I am putting forth a list of best practices for a retargeting campaign that is likely to bring in great returns and success. How much is too much? Imagine you were implementing a campaign, and you were putting up ads and waiting for the traffic to come! Would your audience like to be bombarded with your ad campaign everywhere they went for days together? Probably not, right? Now consider the other scenario where your audience were barely able to observe or register any of your ads. Do you think they are going to come back to your website? Probably not! So, the basic trick is in creating a balance between going overboard and bombarding the audience with too many exposures and not putting in enough ads and losing out on the attention that your campaign deserves. Ideally, I have seen that implementing a frequency cap of about 15 to 20 impressions to every user in a month is a fairly balanced number which can help you keep your brand fresh in their memories without coming off as too desperate or overbearing. Retargeting as a marketing strategy ensures that your ads stay in the front of your targeted audience. Now, that is great, but what would make it even more effective is for your ad visuals to forge a subconscious connection between your brand and the audience that you are targeting. Now, in a retargeting campaign, you are essentially reaching out to the people who have already been to your website at least once, which is why they probably are aware of your logo and can recognize it easily. So while you are putting up your company ads on the internet make sure that you showcase your logo and branding quite clearly so that it does not go unnoticed. This world is not about “one size fits all” solutions, and every customer is looking for a customized or personalized solution. You have to make sure that the customer really is interested in the ad that you are putting up in front of them. Audience Segmentation is a great way to customize the ad messages to the users in various stages of the purchase funnel. It is quite a simple process in fact – all you need to do is place different retargeting pixels on different pages of the site. After that you can go ahead and customize the creatives on the basis of the level of engagement of every user. This means that whenever a visitor is on your main page, you can target them with ads that are designed to bring in awareness about the brand. However, if the visitor has been to your product page, you can then offer them ads that are more specifically about your product offerings. One important thing to remember is that you should separate your site visitors on the basis of what they did or did not buy on the website. This means if someone bought a shirt from your website, you can re-target them with a scarf that complements the shirt. The landing pages you assign to any campaign need to be personalized. Of each ad that you put out there is destined to land up at your home page, you are casting too wide a net. This can only offer a poor user experience as the users who expect to be directed to a personalized space on your site might end up at the home page, at a complete loss about where to find what they wanted to do in the first place. In fact, why would a repeat visitor want to look at your home page again and again, when in fact they might have come to buy the scarf that they just saw on the ad! They are probably going to go back and away from your website quite quickly. Display ads that you are leveraging for conversion can get monotonous. Imagine driving to your office and having to look at the same billboard day in and day out. Now, this billboard might have caught your attention the first few times that you saw it, but it is going to get old and lose its novelty quite quickly. As you get used to the billboard, you are going to stop taking note of it. This means that while the billboard is still there, you are going to develop a blind spot for it. The billboard has now lost all its significance. This exactly what happens with your retargeting ad campaigns as well. If you keep posting the same ad everywhere, your campaign is going to get stale due to overexposure. However having multiple creative drafts for your ad campaign is going to keep your campaign fresh and make it memorable for the audience you are targeting. Again, “one size fits all” solutions do not work in any context whatsoever. The conversion rates for all the ad sizes and for the websites are all different from one another. There are certain websites that are supportive only to certain set of different ad sizes while there are some websites which would only insert your ads in selected locations of your website. It is therefore imperative that you create multiple ad sizes. 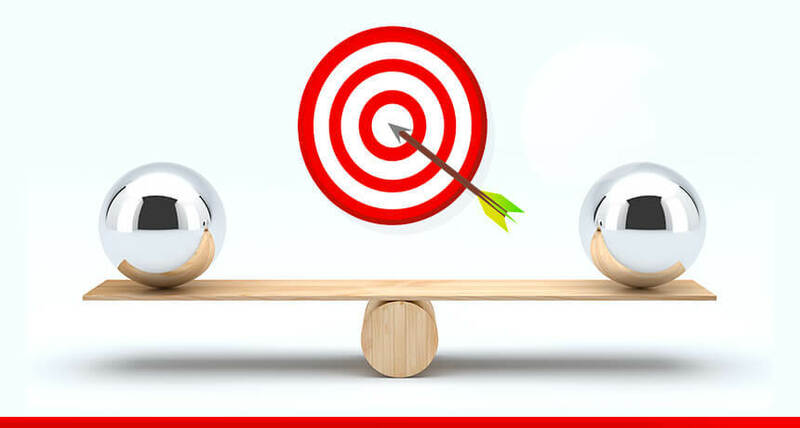 Doing so is going to help you understand which are the sizes of the ad which would work the best and perform the best with your target audience. It can also help you get the maximum reach for your ads. It means that your advertising campaign would then expand beyond a limited and small list of websites that support only a few ad sizes. In general, the larger ad sizes perform comparatively better than the smaller one. But, this one is more of a generalization and like all other generalizations it is not always true. It is a good idea to test more than one variation of ad sizes and then determine the performance on your own. The ad campaign that you are designing for your targeted audience must have a clearly defined action that you want them to take. This is on the basis of where they are at in the sales funnel. Now, when a customer is at the top of the sales funnel, you can have a clear CTA or (Call to Action) can be something like “Learn More” or “Know More” while for the visitors who are further down in the funnel and are at the lower end can be “Buy Now” or “Request A Demo” or “Book An Appointment”. If the visitors who land at your website do not have a hint about what to do with the ad or where to go from there, there is not much of a point to them looking at your ad and your ad impression goes to waste. Also for someone who is at the top of the funnel a BUY NOW button is intimidating and for someone at the lower end of the funnel a LEARN MORE button is irrelevant. As a basic concept, retargeting only works because it lets you keep your brand and products right in front of the audience wherever they may go. It is for this reason, that you as a marketer would have to make sure that you are retargeting all the visitors on your site through as much ad inventory as is possible for you! It is a good idea to bring together a blend of dozens of ad networks which would include Google Doubleclick, Yahoo! Right Media, Microsoft AdECN, and Fox Audience Network or other such networks. It is important to invest heavily in your network relationships to make sure that you are retargeting your audience from as many places as possible. Where you place your segment pixel can lead to the success or failure of your campaign. In general, most of the marketers place their segment pixel on the homepage and on the landing pages to make sure that they are targeting only those people who have at least a certain level of familiarity with your brand. However, in case you are driving a huge amount of paid traffic or traffic that is not really of great quality, on to your website, you might end up retargeting the people who might not really be right for such campaigns. In such a scenario, it is a good idea place your retargeting pixel on all the pages except the entry points on your website including the pricing page, products page, or even the signup/checkout pages. When you do this, you need to make sure that you focus all your retargeting strategies and energy on an audience that is more actionable. Once you have set your retargeting up, you would have the opportunity to avail the massive boosts that come with it. However, if you are looking to really get ridiculously awesome results, you would have to take your game up a notch and try and get inside the head of the audiences you are targeting with your campaign. Every potential customer or prospect is on their own buyer journey. The thing about these buyer journeys is that they are all different and at any given point in time the customers are at different stages of this journey. When you are designing your retargeting campaign, and are planning to use it to guide your potential customers or prospects to the point where they are ready to make the decision to buy, then you would have to draft marketing messages that would be aligned with the stage where your customers are currently at and not at the stage where you think or would like them to be. One of the major reasons why people are not ready to convert is because they might still have a few unanswered questions or issues that they need to clear up before they decide to convert. It might be any issue big or small that might cause this uncertainty. They might not want to spend the kind of money that you have quoted for your product or service, they might have a concern about the safety of the data that they are going to give you and that may have been keeping them from converting. They might not be getting converted simply because they cannot make the time commitment that is needed for the signing up process. It might even be something entirely different as well. Now, no matter what the reason for their hesitation be, once you have identified the specific reason why most of your audience is not ready to convert, you can address this particular concern quite efficiently through retargeting. This can be explained with the example of let us say Appy Pie. Appy Pie is a DIY app building platform, but most of the people have a reservation about building an app as they think of it as a complex and long-winded process that would need them to invest a whole lot of time and energy in it. Now the audience might not be ready to make this investment and that is what is preventing them from getting converted. Now, in order to address and resolve this particular concern, Appy Pie runs a remarketing video that explains to viewers how the whole process can be done in minutes without having to go for any coding or programming. Now as the prospects watch the video and discover the wonders of building their own app without any coding, they care more about the message than how pretty the video looks! The single most common reason for people to back away from any conversion is that they are not really comfortable with the price that they are being asked to pay for the product or service you are offering. This behavior trend indicates that most of the people whom you consider your potential customers or prospects are comparing products in the market and hoping to get what you are selling for a lower price. Now in this scenario, it should not be surprising to know that discounts tend to work wonderfully well as a retargeting tactic and that’s why they are one of the most popular ones too! Offering discounts can get you to directly appeal to the concern among your prospects about the pricing that you have designed for your product. Now when you are retargeting people with discounts, you would do well to either create an urgency by saying something like “Offer Valid Till Stocks Last!” or “Offer Valid Till 31st August!”. Another way to go about it is by creating a sense of exclusivity by saying something like “Follow Us on Instagram & Get 10% Off!”. Doing this would offer you a great window of opportunity for directing a prospect into the “ready to buy” arena. Another one of the biggest reasons why your potential customers may not be ready to convert or buy is because the solution that you are offering is a mere part of the solution of the bigger problem. For example, if you were buying yourself a laptop, you would also have to buy a laptop sleeve or bag to go with it. If you were taking your car for servicing, you don’t just get the oil changed, you would also have to get the brakes looked at, and the lights, and the tires, and there would always be something else. This means that once they have made the decision to buy the products that you have on offer for them, they would have to eventually figure the rest of the solution for their problems. This can prove to be quite a conundrum and an annoyance which might be the reason behind them not getting converted. Retargeting is a great way to address these concerns and if you happen to sell the solutions then it makes the whole deal sweeter! Let’s say that you have an online ecommerce store and receive a visitor who is interested in a formal shirt. Showing them all the other cool accessories that go with the shirt like a cravat or a necktie or even a pair of trousers or a skirt. Now, for someone who is buying the shirt, this means that they would not have to spend a lot of time trying to figure out all that they need to turn it into a complete outfit. Not only does it solve the bigger problem for the potential customer, but also helps you earn a whole lot more! This same principle can be applied to other businesses beyond ecommerce as well! All you would have to do is identify what these “coordinating pieces” are for the products that you are selling. Once you have that figured out, offer the whole range as solution to the bigger problem that the customers may be toying with and while doing so let them know that if they buy the entire collection, they have the advantage of getting it all from a one stop shop! To make matters even more interesting, all you have to do now is throw in a combo discount and you would be amazed at how quickly these prospects would turn into paying customers! A burn pixel is great when you want to avoid sending out retargeting campaign to the customer who has only just converted by excluding them from the retargeting campaign. But this little burn pixel can be used for a lot of more interesting things than simply getting people out of your retargeting campaign. A well-designed and implemented retargeting campaign would have the ability to influence people who are just about ready to convert but did not take the desired action for the actual conversion when they landed o your site for the first time. However, the best of the retargeting campaigns are those that have the ability to persuade and convert those people who have already converted once! Your marketing efforts cannot simply cease once you have made the sale! Well, it is true that making a sale is the ultimate intent of the marketing efforts that you are putting in, but the best marketing efforts would be those that would bring people back to you and keep making repeat purchases from you. Now, if you want to pull this trick off, you would have to develop a deep understanding of your buying cycle. Let’s say someone just made a purchase on your site, would they really be ready to make another purchase the very next day? No! however, if you were to let them be for a couple of weeks or months (depending on what you are selling) and you would see that new requirements or problems would surface getting the customers ready for yet another purchase! Now, let’s say in exactly this time span, these customers were to come across your ad, what do you think would happen? The chances of you accomplishing up-selling or cross-selling to your customers are enhanced greatly. Let’s say you are pushing out a retargeting ad campaign for a SaaS product and you have noticed a trend of most of your customers going for an upgrade after about 3 months. Once you have identified this trend you can then plan a retargeting ad campaign at about 2 months after a visitor has signed up with you. 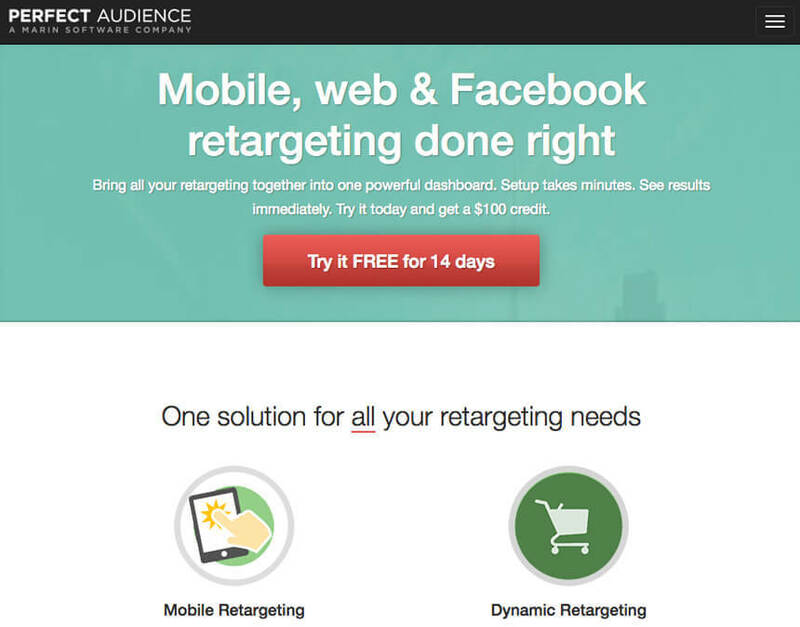 How to succeed with mobile retargeting? If you have been in the business and are aware of the marketing basics, then you have heard this before, for sure. However, as an app owner who is trying to step up and expand, quite often the focus lies on getting as many users as possible. This means their strategies lean heavily towards user acquisition instead of paying attention to this critical 20 percent. Mobile retargeting, however can come in really handy if you plan to keep this precious 20 percent interested, engaged, and retained. Mobile retargeting ads operate in pretty much the same way as the rest of the web retargeting, but it does come with a few caveats. Let’s get this a little clearer by taking the help of a hypothetical example. On the website if a user showed interest in a particular pair of sunglasses in an online store but did not go further, they would later be shown a banner ad that features those very sunglasses on an entirely different website. Now when the user clicks on this ad they would be redirected to a page where they would be able to continue shopping for the sunglasses they liked. In context of an app, it is basically the same principle that applies for retargeting. The difference, however lies in the way the users are tracked. While retargeting on the web is carried out through cookies, mobile retargeting leverages a fine combination of login information furnished by the user, attribution tracking, and device identification. Next, let’s move on to the way ads get served. To begin with, a demand side platform pre-analyzes the user activity in order to determine the best suited ads to be shown to the user. This demand side platform takes into account numerous variables like frequency of app engagement, frequency with which the customer makes in-app purchases, and a record of their various levels of engagement, before picking out the suitable ad. This entire process takes less than a second to be completed. Once this part of the process is accomplished unique ads designed specially to cater to the individual users are displayed. This means that while some of the users would be receiving a banner ad deep linked to a reward, others might be receiving a banner ad that would land them up on their cart where they left behind a pair of sunglasses that they liked. Mobile retargeting networks enjoy access to specific inventory that belongs to publishers who have ad space to sell to app businesses or the advertisers. Different networks would have different kinds of inventories to offer. So, a particular network may have the perfect ad space for you (based on a number of factors like maybe your targeted users) while other advertisers would find an entirely different network more suited to their needs. What You Should Know About Mobile Retargeting Ads? Churn is the dirty word that every marketer is scared of! Yet, it is an inevitable and unavoidable certainty that you have to deal with. Now your users may stay engaged with your app of a day, week, month, or a year, they might be big spenders or splurge occasionally, every app user you have, is someday going to churn out of your app. Retargeting is probably the most efficient way of getting these app users back to you. Now, I have talked about retargeting at length here, but let me get a little more specific and tell you some basic things that you must know about Mobile Retargeting Ads before you begin! Any update or event that is going to come up in the near future can be a great opportunity for you to target these churned app users through a retargeting ad campaign. You can reinforce the campaign by offering some rewards or incentives like a gift voucher or a secret discount and make use of an ad deep link to take the app user on to a specially designed landing page. It is important that you only make use of the major updates for retargeting. The churned users are not going to feel anything great about the smaller updates, definitely not enough to make them want to come back for more. On the face of it, the costs per user might seem to be a little on the higher side than a run of the mill ad campaign, but the payoff you get with a retargeting campaign makes it worth the investment. While you may be paying $5 per install for a normal ad campaign, a retargeting campaign would cost you $15 per install on account of it being super specific. On an average a user acquired through a normal ad campaign may have an LTV of $20 to $30. However, a churned user who has spent thousands of dollars earlier on your app is not your “average” app user and the $15 you spent on them might bring in a whopping return all from one place.